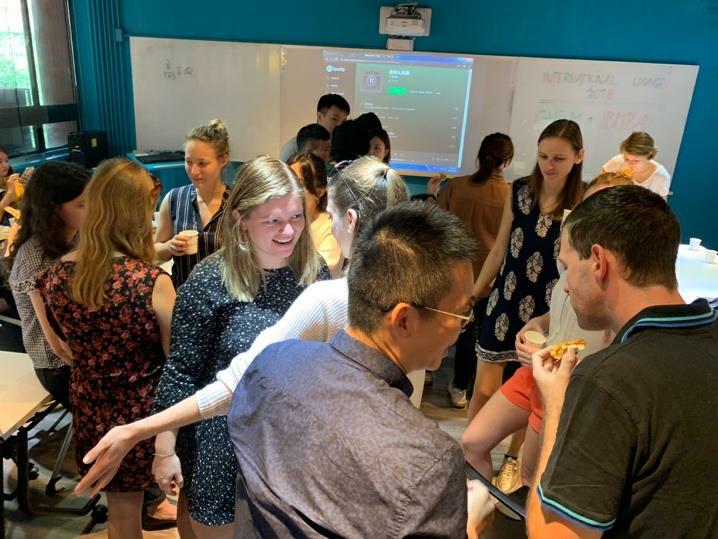 On wednesday November 28th, students from IBMBA, GHRM MBA and ACT were invited to join the International Lounge held by Student Association of International program. Around 30 students came together to enjoy the pizzas and shared their life in NSYSU. It was a great opportunity to meet up with friends and classmates beside the time spent together during the class. Furthermore, this International Lounge was the first one in history when we had the chance to welcome our new friends from ACT program and to finally meet them face-to-face. Hopefully, they enjoyed as much as we did and we will be more than happy to meet them in our upcoming events. In addition to have a great time with others, the International Lounge had one more purpose this time - to remind everyone that as the end of semester is approaching and so the Student Association will need new leaders. Consequently, during the gathering, our newest candidates for the Presidency and Vice-presidency positions of Student Association next semester, shared their manifesto towards the program students. They provided brief info about themself, their previous experiences and their motivation to lead Student Association in next semester. Last but not least, they provided us introduction of the activities and events they would like to organize next semester. As they mentioned during the presentation, their main intention as a future Student Association leaders is to make the relationship between IBMBA & GHRM MBA students stronger. Furthermore, they want to attract more potential students to our international program by involving the exchange students more. That´s is great idea as it is very common that students that once used to be on exchange program here at NSYSU often tend to come back to Taiwan to pursue their Master degree. It is in fact also the case of the current president and vice-president candidates: Remco Peters and Justine Jude Pura. They were both exchange students in 2016 and now they decided to come back and join GHRM program. We believe that together with Hsu Ya Ting, first year student from IBMBA, will be successful team for new Student Association.